We are so excited to announce that the newest Power Jazz residency “Jazzmasters at the ARTISAN” will debut on the on Thursday, January 17th at 7 pm. 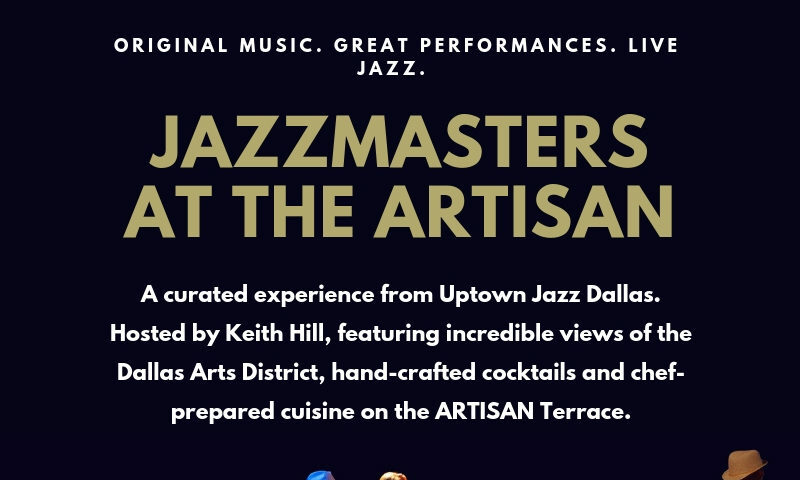 Sip on a glass of your favorite wine and enjoy a great performance by some of Dallas’ top talent from the Jazzmasters Collective, a curated experience from Uptown Jazz Dallas, hosted by Keith Hill on the heated ARTISAN Terrace! The Jazzmasters collective is an A-List supergroup with Bobby Sparks on the Keys, Allen Cato playing Guitar, Jason “JT” Thomas, Chuck Smith on Bass and Keith Anderson playing the Saxophone. 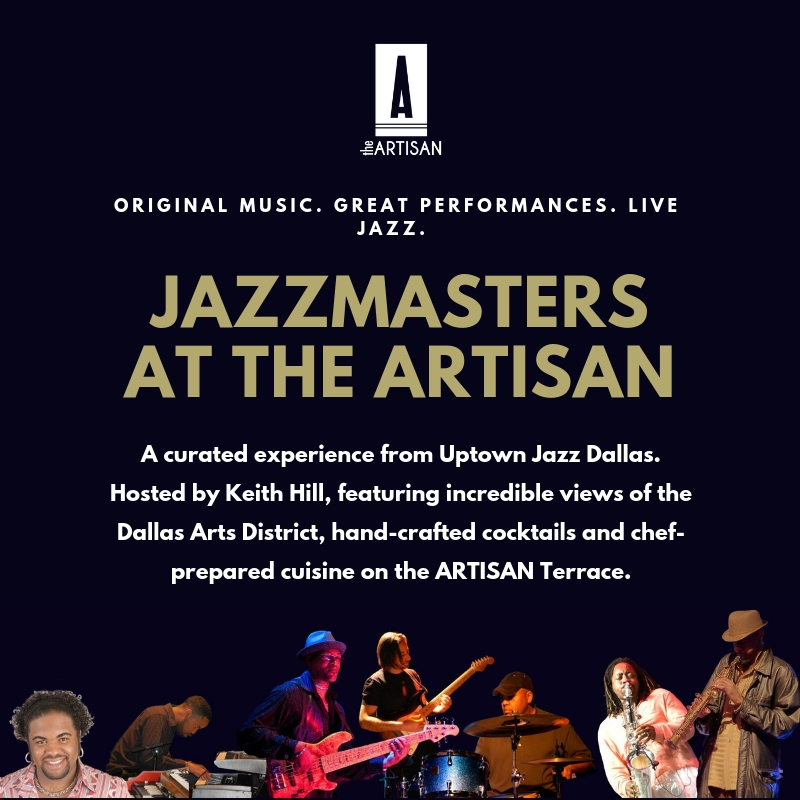 While you soak in the scenery and incredible music, the ARTISAN will be serving special menu items, custom-created for this event in the Dallas Arts District!